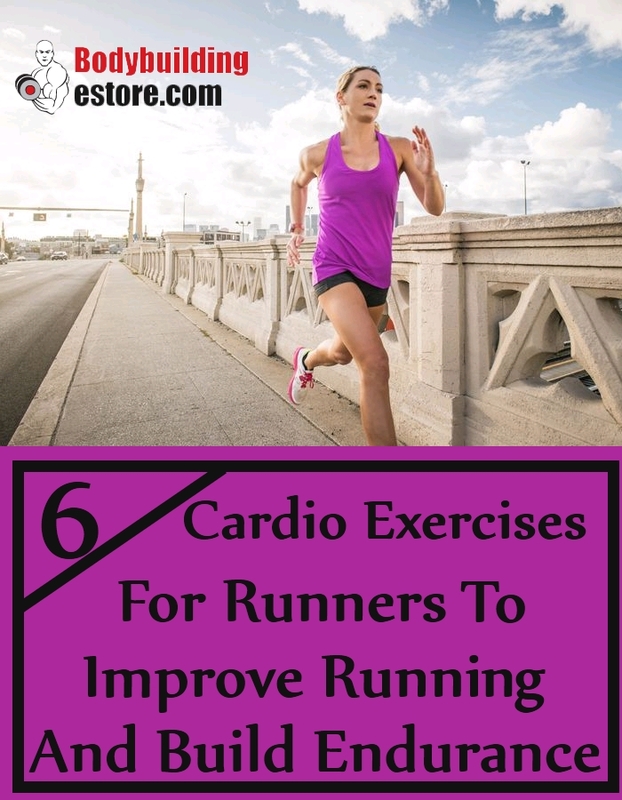 Cardio exercises are one of the most recommended techniques for runners to improve and build their stamina and endurance levels. It helps in increasing heart rate and also helps in boosting metabolism, which help to lose weight and build strength. Cardio exercises also help in strengthening core muscles, improve circulation and helps in overall improvement of health. Runners need to focus mainly on stamina building and endurance workouts, which help them in improving their running and also assists in fat loss. The best part is that when you are selecting cardio exercises, you have plenty of options, so you are never going to get bored and lose motivation. This is an easy exercise and quite suitable for beginners too. You need to warm up for two minutes before you start this routine. Get in a low lunge posture. Your right foot shall be forward. Your left foot shall be a bit back as your fingertips stay in contact with the ground. This will help in maintaining balance. In a gentle manner, you will bring the left foot forward as you try and stand on the right foot. Keep lifting the left knee towards the chest and start hopping on your right foot. You will land safely on the right foot and then again slide the left foot just behind you. Get back to the position where you started. You can switch to your other side and repeat at least 7 times as you start. This is an excellent cardio to build your stamina, balance and improves your running. If you have access to the outdoors, then workout can be quite beneficial. This is an effective exercise which improves your leg balance, stability, builds endurance and helps in improving your running. This workout can also be done on a hilly area. You need to simply sprint up a hill and then comfortably walk down. However, before you start doing this workout, you should necessarily warm yourself up for at least five minutes. You can do light jogging too. 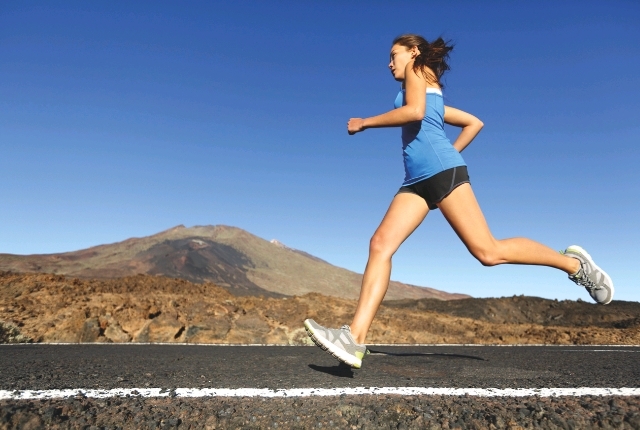 Sprinting is recommended for those who are trying to build their stamina and running. 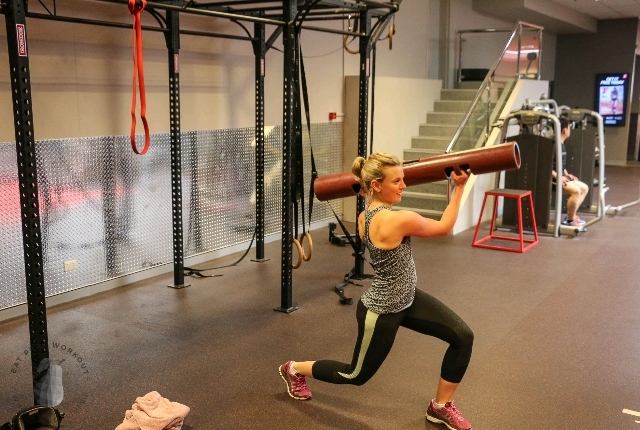 You need to imagine an invisible rope for this workout. Simply move as you would be hopping over an invisible rope. You do not have to jump more than 1 inches from the ground. You will be on your toes as you start pushing the balls of your feet. You need to quickly move your wrists, just as you are holding on to a rope. Continue this hopping for a minute. Take a break for 30 seconds and start hopping again. You need to do this jump rope for ten minutes in a day. You need to start the exercise in a split stance. Your right foot shall be a step ahead of your left foot. Your hips shall be squared and facing a bit forward. Use your right hand and punch to your left in a smart and quick scooping motion. You need to do this movement on your other side as well as much as you can. Keep alternating as fast as you are able to. As you do the workout, you need to maintain a tight core and loose knees. As you are half-way through the movement, you need to switch stance to your other side. Continue this movement for at least thirty minutes. Bicycling is always one of the best cardio workout options for runners, both indoors and outdoors. Your cardio is quite dependent on how quickly you ride and how low or high your resistance is. You can increase your resistance and make the workout session even more effective. During this kind of cardio workout, you will be using the power of your legs and thigh muscles to build endurance, stamina and strength, which helps in working out thoroughly. In case you are not able to go cycling outdoors, an indoor cycling program is equally effective too.You can try out bicycling in three intensity zones which include, easy, comfortable and challenging. Start with 12 minutes bicycling at a time and then increase your speed and stamina. This is one of the easiest and recommended workouts for runners who are trying to improve their performance. Speed or brisk walking is the best way to improve running, build strength, maintain balance and lose weight. Start the workout by walking slowly and then increase your speed as much as you can. Walk in great speed for two minutes and then slow down for a minute. You can again pick up your speed for the next three minutes and continue in similar order for ten minutes.